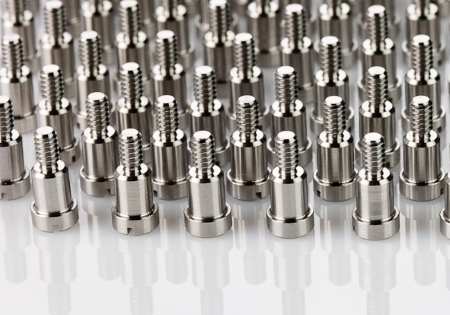 Passivation is the chemical treatment of a stainless steel surface to remove any “free-iron” or other contaminants from the surface of the metal, which may impair the normal corrosion resistance. The Passivation process designed to remove foreign metals from the surface of stainless and corrosion resistant steels by immersing a cleaned and desealed steel part into a solution of nitric acid and oxidizing salts. Passivation dissolves exposed surface iron and produces a transparent film of corrosion-resistant chromium oxide. It does not change the appearance of the base metal.